On May 19th, 2017, the National Society of Black Engineers’ (NSBE’s) annual Women in Science and Engineering (WiSE) Day was held in UCLA’s Ackerman Grand Ballroom for two hundred aspiring, young scientists. 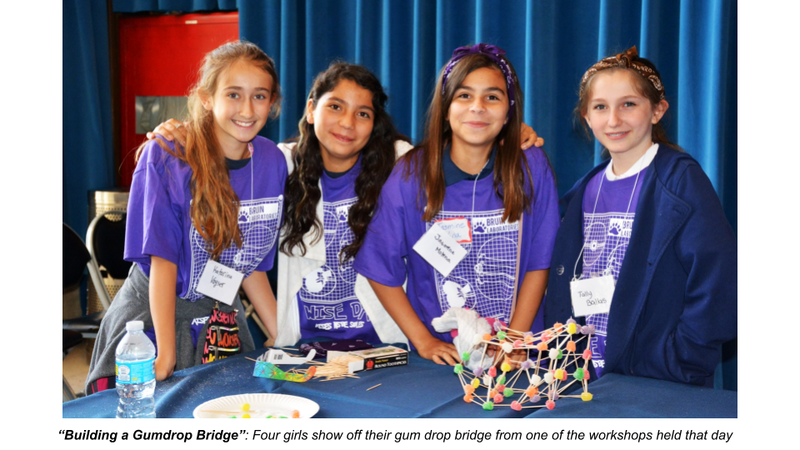 Middle school and high school girls from the local area were given the opportunity to participate in this science, technology, engineering, and math (STEM) focused event. They engaged in hands-on workshops, explored research labs, and listened to a panel of passionate, driven women who are currently pursuing a degree or career in this predominantly male-led field. 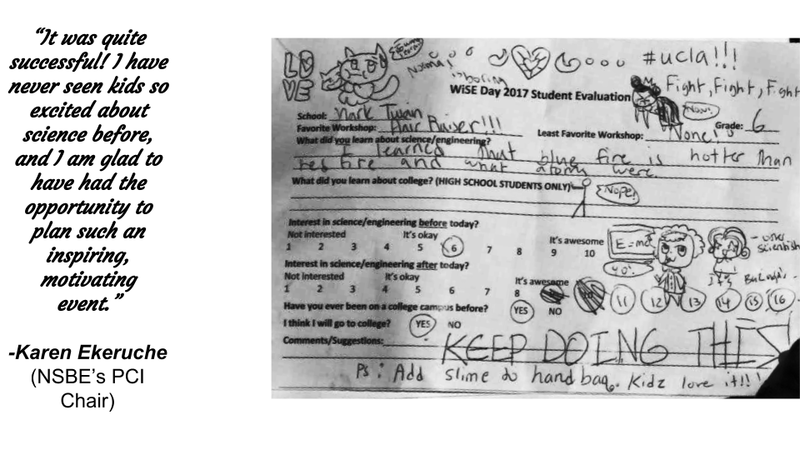 Programs such as WiSE day demystify the complexity of STEM and encourage underrepresented students, in this case young women, to pursue an education and career in this field. The main goal is to advocate the exploration and pursuit of STEM for these individuals before their environment has the chance to discourage them. NSBE at UCLA strives to foster a passion and love for the sciences and engineering with this event that takes place every year. 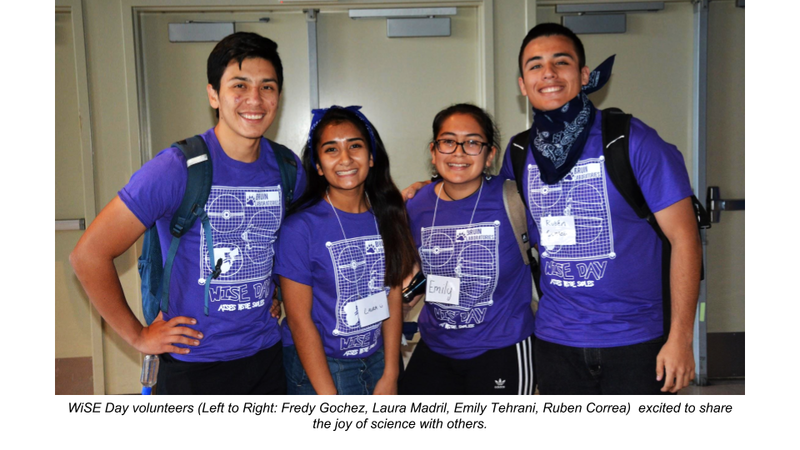 There were a variety of STEM workshops being held and conducted by UCLA student volunteers. They prepared presentations as well as a small project or activity in order to effectively deliver their lesson. Some of the workshops include: “Electric Shock Showdown, ” “Van Der Graaf Generator, ” “Building a Gumdrop Bridge,” and more. 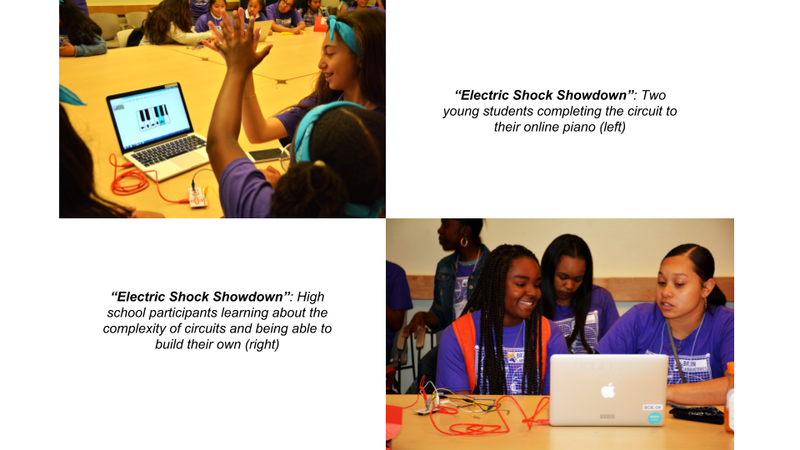 In “Electric Shock Showdown,” a touch of electrical engineering was introduced. Students were able to gain a practical understanding of conductivity by constructing their very own circuit. Many were “shocked” to see that their own bodies could be used as conductive material and could light up an LED just by completing the desired connection (two girls are shown high fiving in the photograph). 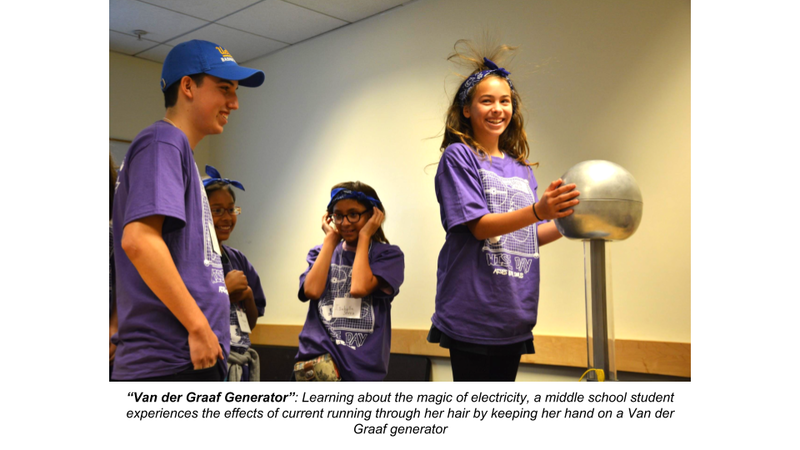 In another electricity-related workshop, “Van Der Graaf Generator,” students learned how like charges repel and how unlike charges attract. They discovered the dangers of current: the flow of electrons (very dangerous), opposed to voltage: the amount of energy needed to move electrons (not dangerous). Attempting to see the flow of current in a safe, real life example, students eagerly lined up behind the Van der Graaf Generator that was placed in the middle of the room. By keeping in contact with the surface of the generator, the negative charges produced, flowed through their body to their hair. Because the negative charges had nowhere else to go (a plastic crate separated the person from the ground), they tried to distance themselves from each other. This repulsion was the cause of the momentarily, new and entertaining hairdos. “Building a Gumdrop Bridge” was an introduction to the combination of mechanical and civil engineering. Students were encouraged to use their knowledge of shapes and creativity to construct their best bridge out of gumdrops and toothpicks. This workshop was also able to exercise the students’ ability to work as a team, which is an important aspect in any workplace. While some learned the hard way, everyone eventually figured out the importance of working together and implementing a stable and strong bridge base. 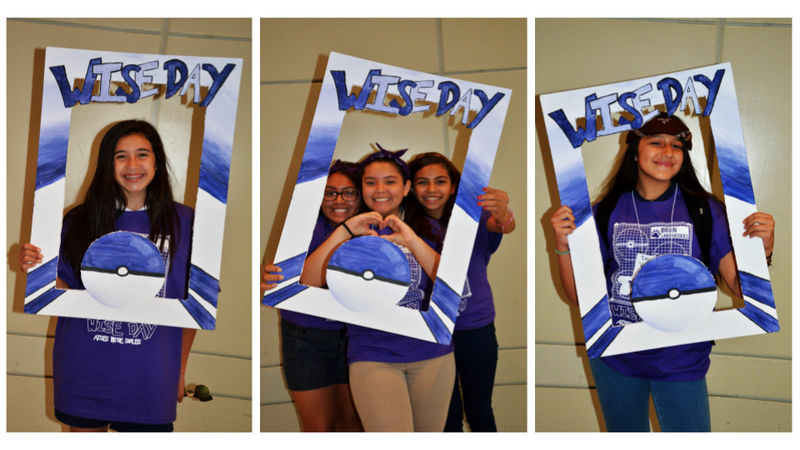 The focus of this program was to introduce these young, female students to the endless possibilities of STEM careers. According to NSBE’s Pre-College Initiative representative, Karen Ekeruche, it went well. The students who participated in the program think so as well. As many know, it is hard to judge how well a program is run; however, NSBE conducted a survey shortly after and is proud to share that many appreciated the early exposure to the sciences. NSBE plans on continuing its annual WiSE Day in order to influence more girls to overcome society’s usual STEM workplace stigma.